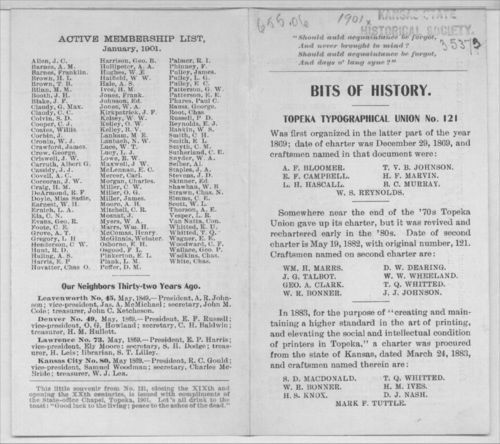 This document presents a brief history of the Topeka Typographical Union. Established in 1869, the Topeka Union gave up its charter in the 1870s (possibly 1876) but reorganized in 1882. This document summarizes some of the history and provides a list of members in 1874, 1886, delegates from 1870-1901 and a list of members in 1901.